This echoes the results found in the Health and Wellbeing Survey, also run by Help Musicians UK, in which 66.5% of responding musicians reported performance anxiety and 59.6% of responding musicians reported depression or another psychological issue. It is also worth noting that 12.7% of respondents reported drugs or other substance abuse, another mental health concern. According to a study covering Great Britain, more than 1 in 10 people will experience a “disabling anxiety disorder” at some point in their lives. This puts musicians at seven times the risk of the general population in experiencing high levels of anxiety. According to Adult Psychiatric Morbidity in England 2007: Results of a Household Survey, 4-10% of people in England will experience depression at some point in their lifetime. This puts musicians at about 7-17 times more likely to have experienced depression. It is worth noting that depression and anxiety often occur together. Also, while these numbers are specifically out of the United Kingdom, mental illness rates do tend to be comparable around the world. Additionally, drug and substance addiction appears to occur in musicians are much higher rates than in the general population but specific numbers are hard to compare. 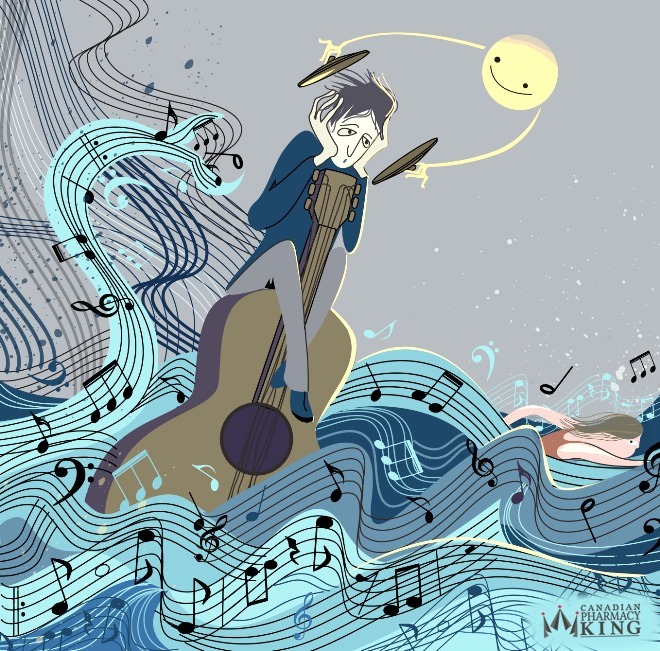 What Contributes to the High Anxiety and Depression Levels in Musicians? While no single factor would cause mental health issues like depression and anxiety in musicians, there are common problems experienced by musicians that could be stressors that exacerbate any possible mental health issues. Considering that the majority of musicians experience anxiety and/or depression and more than half of musicians experience at least some of the above eight problems associated with mental health concerns, professional help is something that should be common among musicians. Unfortunately, less than half of musicians sought professional help for their problems even though anxiety and depression are medical issues that should be professionally treated. What’s important to remember is that problems can be worked through and with help, so can depression and anxiety. Anxiety and Depression Association of America, Treatment. Accessed November 21, 2016. Anxiety UK, Frequently Asked Questions. Accessed November 21, 2016. Help Musicians UK, Can Music Make You Sick? Part One: Pilor Survey Report Summary. Nov. 2016. Help Musicians UK, Health and Wellbeing Survey. 2014. Mental Health Foundation, Mental health Statistics: The Most Common Mental Health Problems. Accessed November 21, 2016. Natasha Tracey is a professional writer and author for Bipolar Burble. She currently worked as a freelancer for Kingsblog.